Summary: Beats and vocal harmonies abound in this catchy but not entirely original debut EP. It may not be the catchiest of monikers, but that hasn’t stopped Brisbane native Danny Harley building a strong following with his solo project, The Kite String Tangle. The latest in a wave of heavenly-voiced antipodean producers to hit Soundcloud, the electronic producer has a fair weight of expectation waiting on his debut EP, Vessel. The first track, ‘Arcadia’, is one most fans will be familiar with. Its lyrical preoccupation with a failed relationship, alongside the washed-out, R’n’B-influenced production, make it feel more like a Chet Faker bonus track than a statement of intent from a completely different artist. Fortunately, its infectious beats and sincere vocal performance give it the core hooks required to grab your attention regardless. The rest of the EP is far more interesting. ‘What If’ opens with a rhythm hook that reappears with every chorus, slotting in perfectly over the ambient house beats that pulsate throughout the rest of the track, before a satisfying drop into the closing seconds. ‘Stone Cold (Ft. Tiana Khasi)’ goes full club on us, throwing in a dance-floor-ready chorus that’s only one remix away from being a sure-fire floor filler. It all goes a bit PPK at times, but aside from that, it’s a great summer tune. Down-tempo number ‘Words’ has a brilliantly layered chorus, where his almost choral harmonies add huge emotional emphasis to its repetitions of “You didn’t have to say no. I didn’t have to see you go.” The song’s gentle guitar lines and ambient synths are brilliantly boosted by the scuzzed-out electronics that kick in following the second chorus, only to return to the emotive vocals that anchor everything so beautifully. Definitely the EP’s stand-out track. ‘Given the Chance’, the first track ever recorded for the project, is included as well. With an impressive million-plus listens on Soundcloud, it’s his biggest song to date, but feels over-crowded compared to the newer additions to his back catalogue. The beats lack the subtlety displayed elsewhere, dominating the vocals to the point where they fade into irrelevance. Given the right treatment, however, it could be another potential floor-filler. Closing with ‘What’s The Point’, everything goes a little bit Made In Chelsea. It’s incredibly catchy, but it sounds a little contrived. The distorted guitar riffs thrown in on the chorus give it an edge that isn’t found elsewhere on the EP, and the chorus melody is downright irresistible. However, the synths sound far too like a Skrillex/Ellie Golding collaboration for this to fully draw you in. 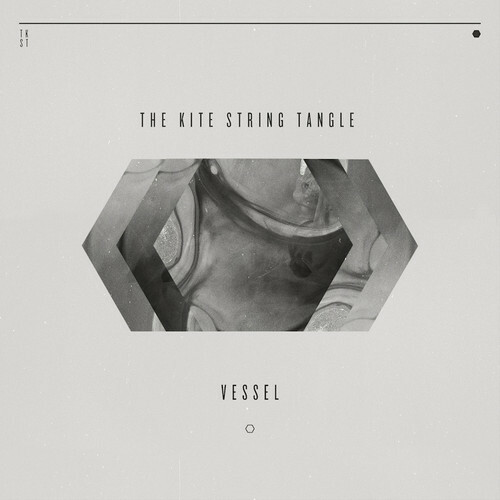 Ultimately, there’s a great deal of promise shown here that the Vessel EP fails to capitalise on. Its lack of direction and originality mean that the songs’ hooks and choruses never fully embed themselves as belonging to this particular project, instead serving as fragmentary reminders of other artists you need to go back and listen to. It’s not an unenjoyable listen by any means, but it’s not enough to burn the name into your memory. Hopefully there are far greater things to come. Vessel is out on August 11th.